An 8-year-old Allentown boy’s “Spam Crunchy Nuggets” recipe has earned him the title of National Spam Kid Chef. Alex Martin-Fonseca won the blue ribbon for the recipe in the kids category last summer at the Allentown Fair’s Great American Spam Championship. The category was for child chefs, ages 7 to 17. 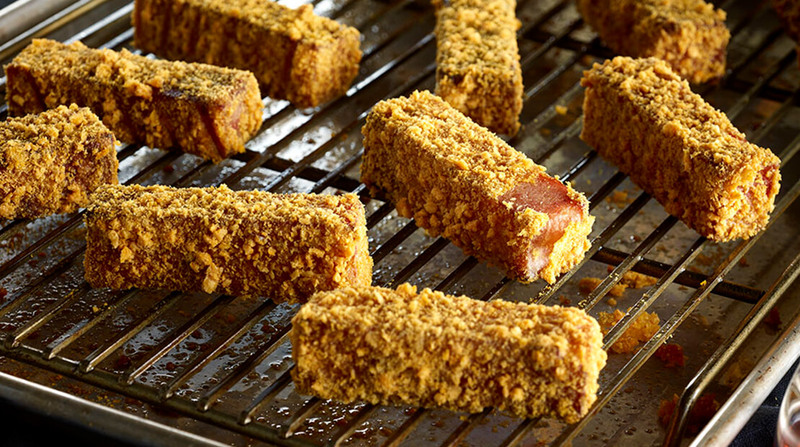 His “Spam Crunchy Nuggets” are strips of classic Spam drenched in a flour/egg mixture, coated with sweetened corn and oat cereal crumbs, and baked until crispy. He serves the nuggets with maple syrup for dipping. The national contest drew 650 entries, including recipes for Spam sliders, tacos, pizza rolls, wontons and stuffed peppers and a Spam doughnut sandwich. Alex’s inspiration came from the favorite food of many children: Chicken fingers. Fun fact about Alex: He got the nickname “Spam Bandit” in 2016 after dressing up as a cowboy to cheer on his sister, who was competing in the Spam contest at the Allentown Fair. He drew attention with a handkerchief on his face and a Spam can in his hand. His sister took first place.